At just 8.5mm, this is as thin as some smartphones. It sits in your pocket and is easy to carry around in your jeans without any unsightly bulges, measuring in at just 13 x 7 x 0.85 cm. 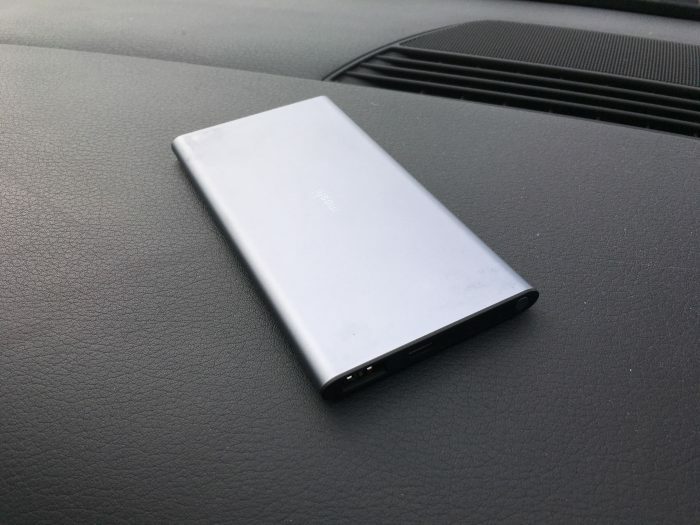 Inside the aluminium casing there’s a 5,150mAh battery and it’ll do fast charging thanks to the 3A output via the USB-A port on the side. 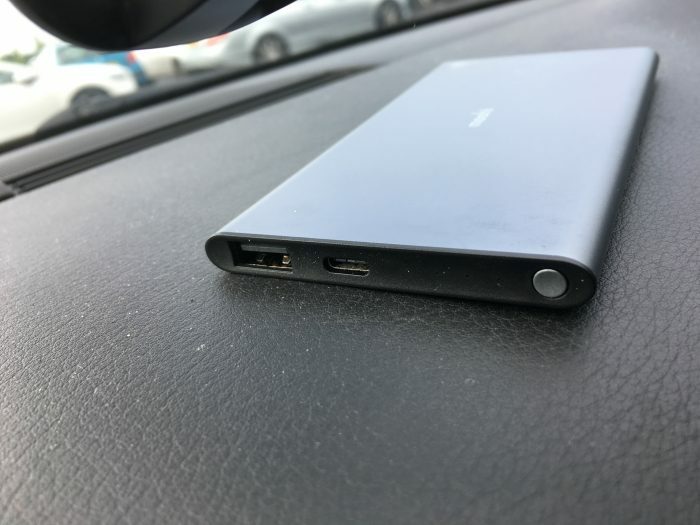 You’ll also find some tiny LEDs to show how full the battery is and a USB-C charging port so that you can fill this portable battery up before heading out. Charge it off your wall charger, your car charger or any USB port you can find. It’s ideal to use one with a 2.1A output for faster charging though. A small USB-C / USB cable is provided, but if you have an iOS or microUSB charging requirement you’ll need to dig out your own cable and take that with you. Moshi tell me that the cell inside is a lithium-polymer and has no “memory effect”, so you can charge as often as you wish. That, though, is about all I can say. The battery is a 5,150mAh unit, so a regular smartphone with a 3000mAh is going to get one full charge from 0% and then a top-up. It’s definitely useful to stick in your pocket or keep in a bag as there’s no real weight to this – at 143g it’s less heavy than a lot of smartphones I’ve reviewed. You can get more details on the Moshi website and it’s available from Amazon US. The only real problem I have is the price. At £49.95 or $54.95 it’s a lot of money for what it is, even if it is super-lightweight, pretty powerful and pretty slim. 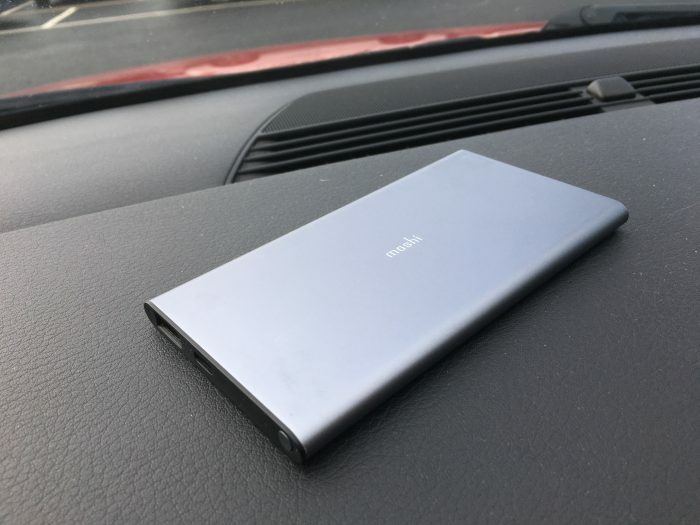 The post Moshi IonSlim 5K Portable Charger – Review is original content from Coolsmartphone. If you see it on another news website, please let us know.